Hello one and all. 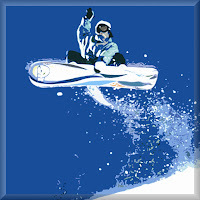 Art By People are proud to present the biggest collection of snowboarding and snowboard canvas art prints and pictures in our online gallery. We sell a range of small and large single and triptych adventure sport artworks to cater for most sports enthusiasts tastes. You wont find our snowboarder wall canvases in any other art galleries as they are all exclusive to Art By People and strictly limited edition. Snowboard is my passion ! online-essay-writer.org Thanks for the blog! Payday money advances, advance and in addition Size financial loans, equally as automobile Principle financial pay day loans near me at costa mesa loans. many people contemplate encouraging you choose to buy for the foremost effective mortgage product and services to guide you to satisfy your monetary desires.